Despite the best efforts of many involved with sales and marketing it is a fact that the conversion rates for marketing qualified leads are low, extremely low. To give you an idea of just how low, according to Forrester, the top performers only manage to convert 1.54% of marketing qualified leads into revenue. What this means is that most organisations are losing almost 98% of prospects who start the customer journey and are subsequently lost, not being converted into customers. Scary right? You might think that increasing the volume and/or quality of leads is the answer, and it might be part of it, but in my experience aligning lead management with the customer experience potential customers expect is more likely to deliver better returns and improve conversion. Marketing is too often tasked with, and measured against, the generation of lead volume. It’s a numbers game, as we all understand, but this ever increasing volume places demands on sales time to effectively follow up these leads. 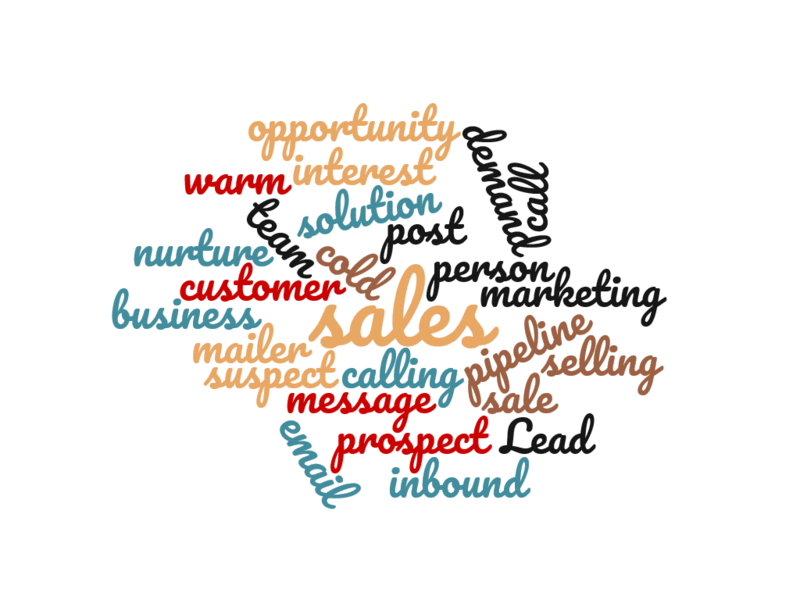 With quotas to meet, the sales focus is inevitably more short term and leads tend to be treated as singular, qualified in or out, with only the most likely prospects being progressed. Think about it slightly differently. A team, either internal or external, placed firmly between marketing and sales, working closely with both can make a huge difference. With the right people, process, tools and management a dedicated team in this space can focus on gathering intelligence, building a detailed understanding of prospect accounts and, most importantly, develop positive interactions with potential buyers very much in line with their customer experience expectations. Selling technical and complex solutions into large, complex organisations with multiple stakeholders, often with different drivers, requires a more detailed and specific approach for each account but done well results in far better conversion. Rather than treating leads as potential sales opportunities, think of them as small snippets of information about a specific account. Use and develop these to build a detailed understanding of the account and create positive interactions with potential buyers through whatever channel works best for them. This will drastically improve the brand and capability awareness within target accounts and result in far more leads converting to customers. Sure it is a longer term strategy but an effective one. The technology sector in particular is already embracing this approach with many using internal sales teams, Sales Development Reps (SDR’s) or external third party specialists to perform this function and provide an effective middle ground between marketing and sales.